Come and spend your birthday at Thomley, make the most of the huge range of activities on offer with all your family and friends. Book for twenty children or more to use all our facilities and add on extras, or an art and craft / physical activity, led by one of the Thomley team. We will also give yousome tables in our pavilion to have either some games or food time. On a Sunday and have Thomley exclusively for your party (party generally runs from 10am-1pm, 2pm-5pm or 11am-3pm). Disabled children may book a party on any Saturday, Sunday or evening (except our Quiet Day). 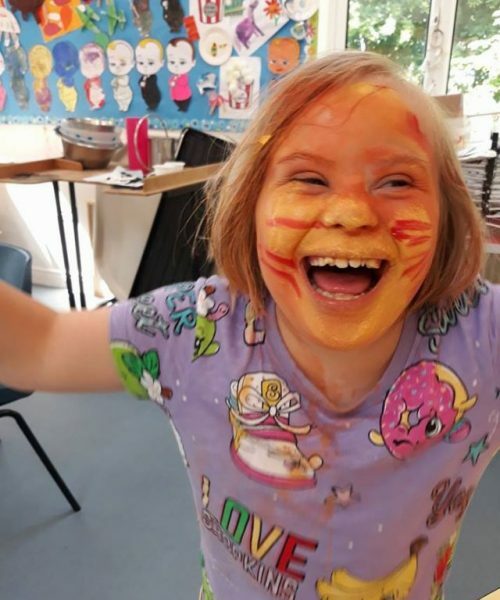 Any children without a disability may book a party on any ‘Community Saturday’, Sunday or evening. It is a recommended donation for your party, which includes one activity and squash for all the children included. We do also ask for a further donation of £40 for any additional activity and £8 per additional child, if you’re brave enough to invite more guests than the included 20 children! We can also provide food for your guests. You can book a cold buffet or hot meal for the children (and the adults if needed). Discuss this with us when booking.